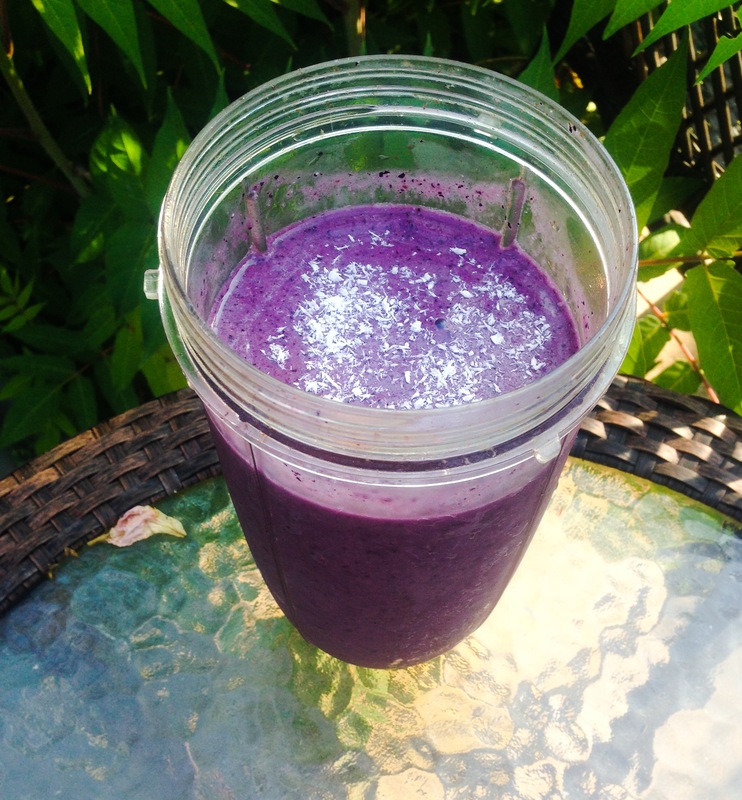 so I had some beautiful Blueberries already frozen and wanted to share my breakfast with you 🙂 which I will be doing for the next week:D This Smoothie, is sweet and nutty and oh sooooooo good for you… and That COLOR…. Put Bananas and blueberries and hemp hearts, sweet drops into your Blender and cover with Cold Coconut water (32Oz) and BLEND for 1 minute. make sure to Blend well, so you do not get blueberry bits in there!